BlackBerry wins Department of Defense approval for devices | BlackBerry Blast! BlackBerry shared some good news today. The company has won approval by the U.S. Department of Defense for the "use of derived Public Key Infrastructure (PKI) credentials on BlackBerry� OS and BlackBerry� 10 smartphones." 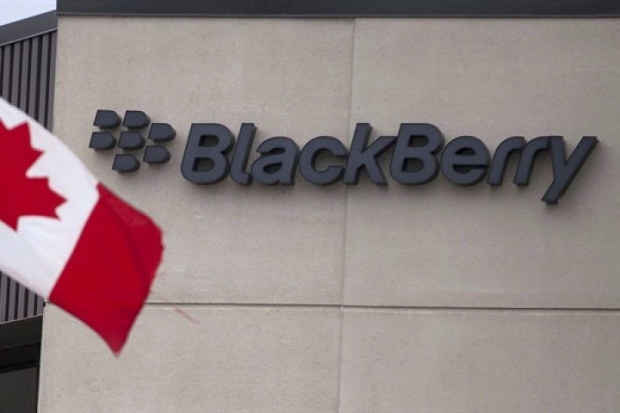 The company says the approval validates BlackBerry's security capabilities. "Security is the cornerstone of BlackBerry technology, which is why we have served as a proud and trusted mobile partner of government agencies for more than a decade," said David Kleidermacher, Chief Security Officer, BlackBerry. "BlackBerry believes that security should be an enabler of productivity and collaboration in both the public and private sector. The DoD approval demonstrates how highly secure mobile solutions designed to protect valuable national assets can also enhance efficiency among users, simplify management for administrators and reduce costs." BlackBerry claims the use of their devices makes it easier for DoD personnel to access secure networks. Instead of using common access cards, they can use BlackBerry hardware. We always knew BlackBerry was tops in security! Waterloo, ON � BlackBerry Limited (NASDAQ: BBRY; TSX: BB), a global leader in mobile communications, today announced that the U.S. Department of Defense (DoD) has approved the use of derived Public Key Infrastructure (PKI) credentials on BlackBerry� OS and BlackBerry� 10 smartphones. The approval further validates BlackBerry's security capabilities and trusted mobile solutions that are deployed throughout the DoD. Derived PKI credentials eliminate the need for users to rely on Common Access Card hardware and software to securely access data on DoD unclassified networks. DoD personnel have a more seamless user experience and increased productivity, as they simply use a BlackBerry device to access, manage and share information critical to their missions. The approval includes commercially available smartphones running BlackBerry OS version 7 or higher as well as BlackBerry 10 OS version 10.2 or higher. BlackBerry provides an end-to-end portfolio to secure mobile communications including voice, text, messaging, data and files. The Company has more than 70 government certifications and approvals, more than any other mobile vendor, and is the trusted mobility partner of all G7 governments and 16 of the G20. For more information about mobile solutions for the public sector, visit www.BlackBerry.com/government. A global leader in mobile communications, BlackBerry� revolutionized the mobile industry when it was introduced in 1999. Today, BlackBerry aims to inspire the success of our millions of customers around the world by continuously pushing the boundaries of mobile experiences. Founded in 1984 and based in Waterloo, Ontario, BlackBerry operates offices in North America, Europe, Middle East and Africa, Asia Pacific and Latin America. The Company trades under the ticker symbols "BB" on the Toronto Stock Exchange and "BBRY" on the NASDAQ. For more information, visit www.BlackBerry.com.